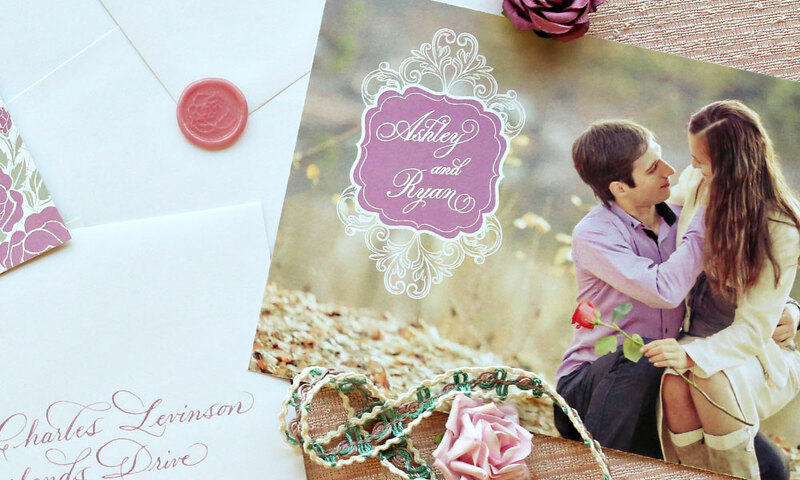 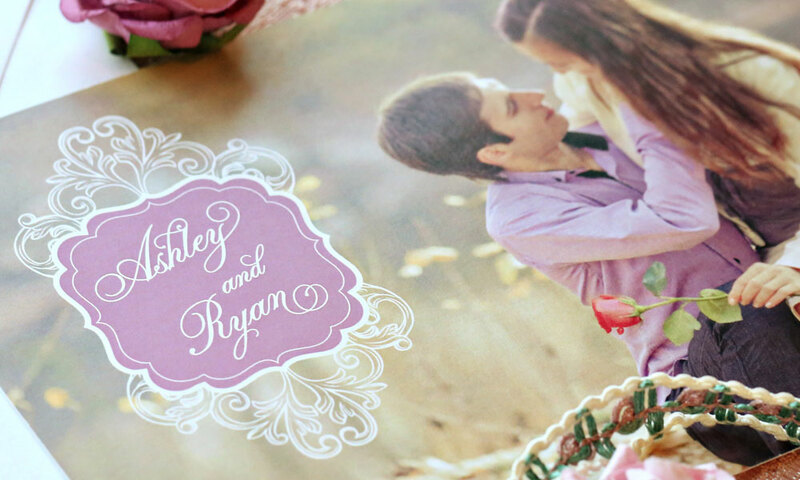 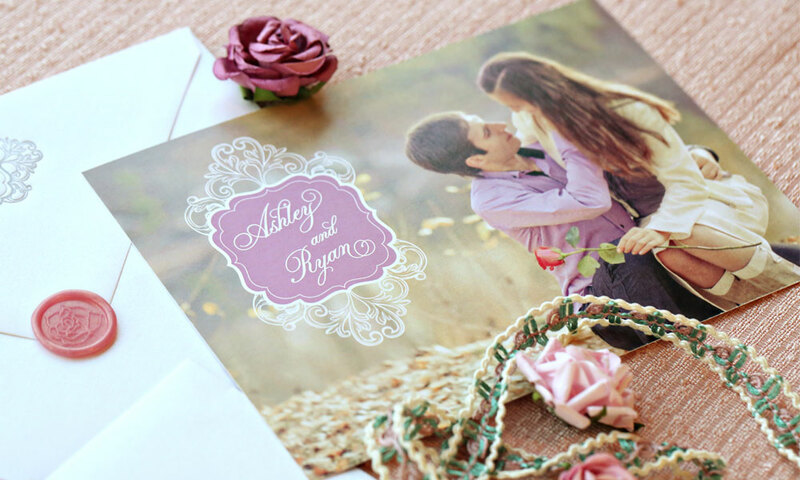 Ashley and Ryan came to Zorie with a beautiful engagement portrait that we fell in love with and had to use in the couple’s save the date design. 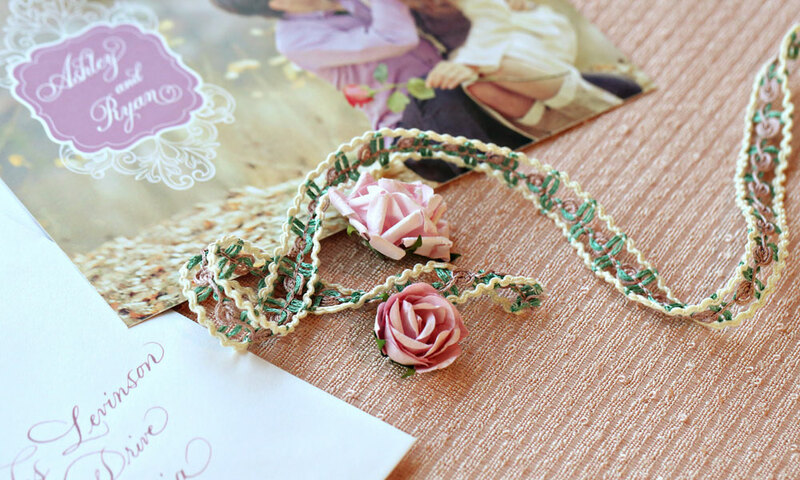 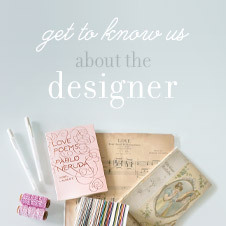 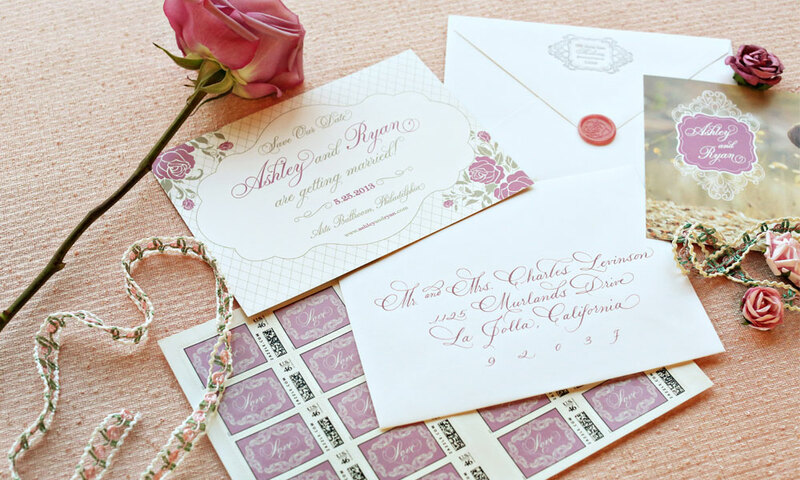 Inspired by the ethereal romantic feel, we added vintage decorative elements and colors. 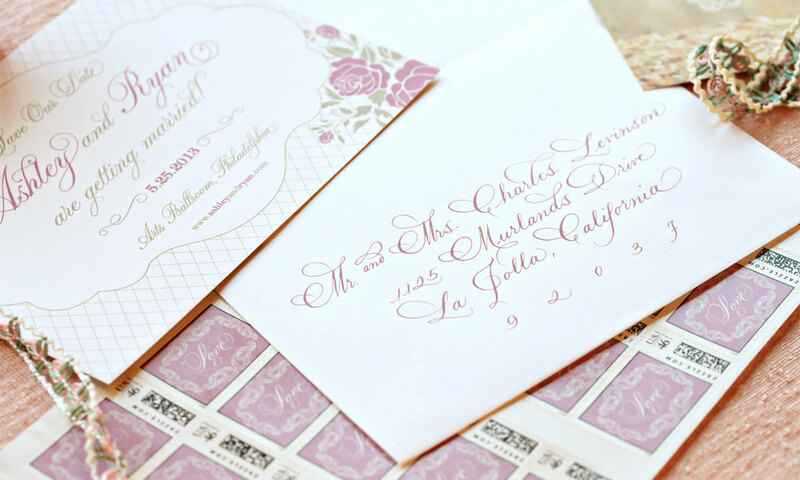 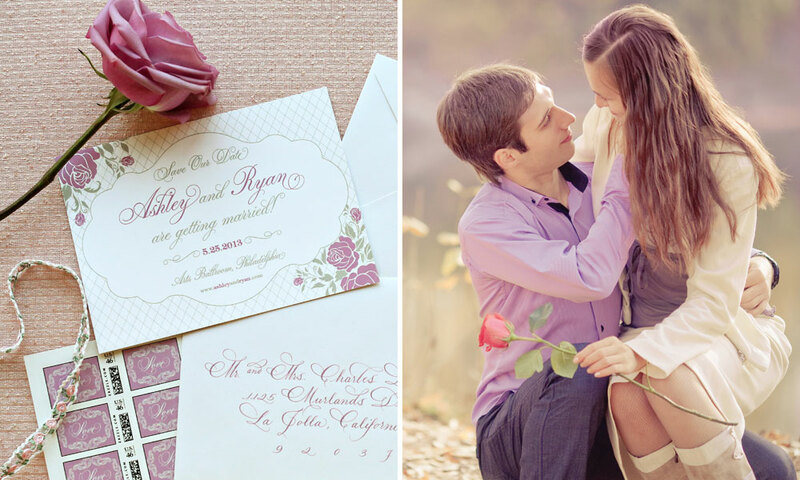 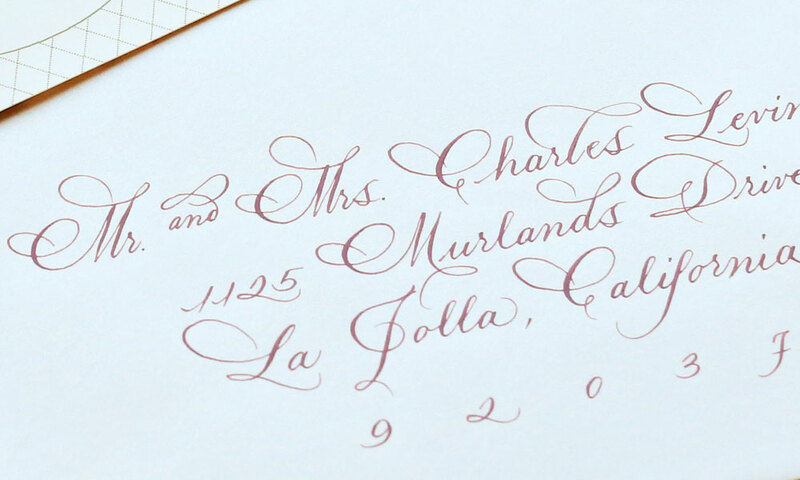 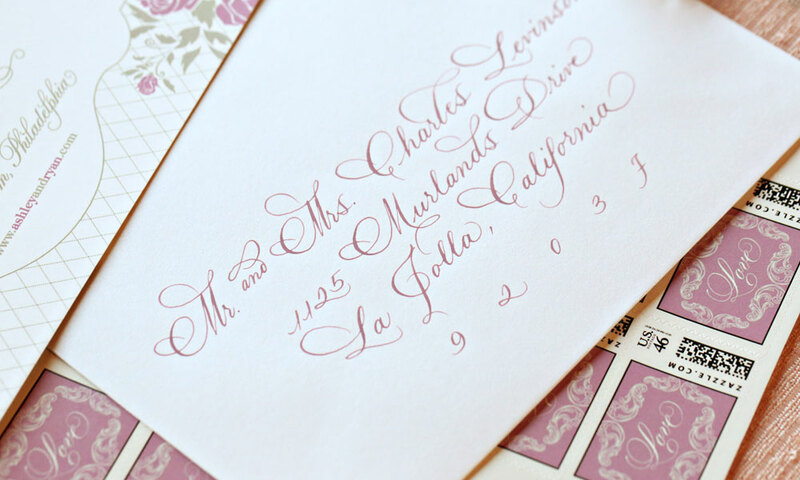 Pink roses and a beautiful script complete the romantic tone. 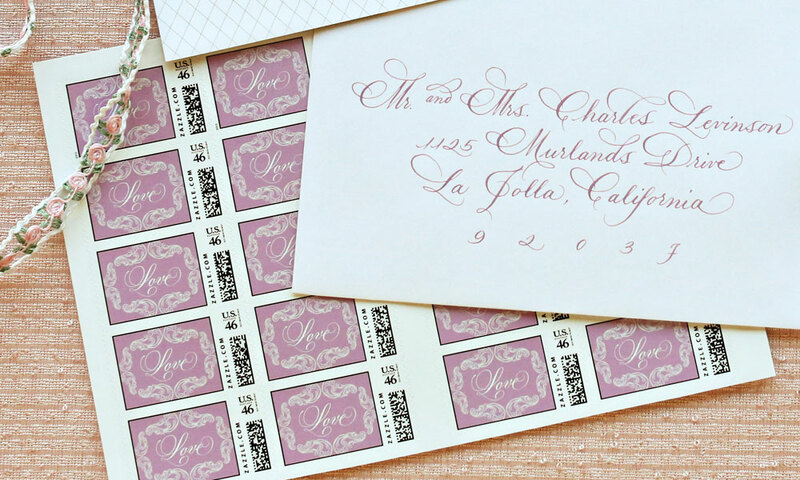 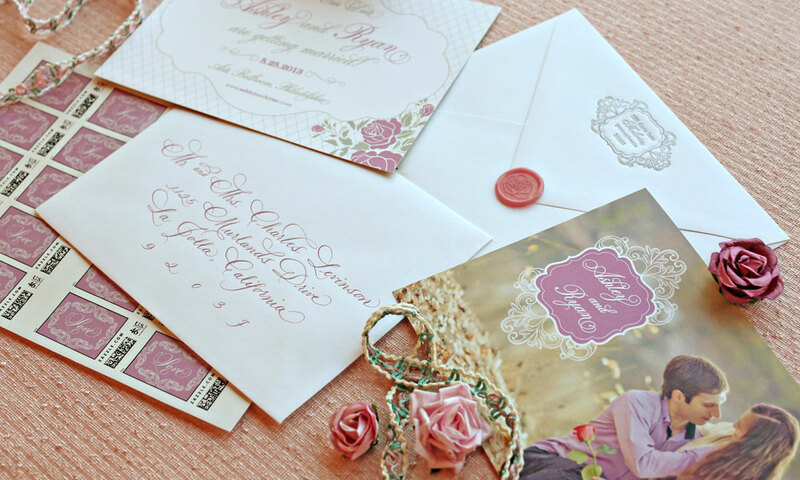 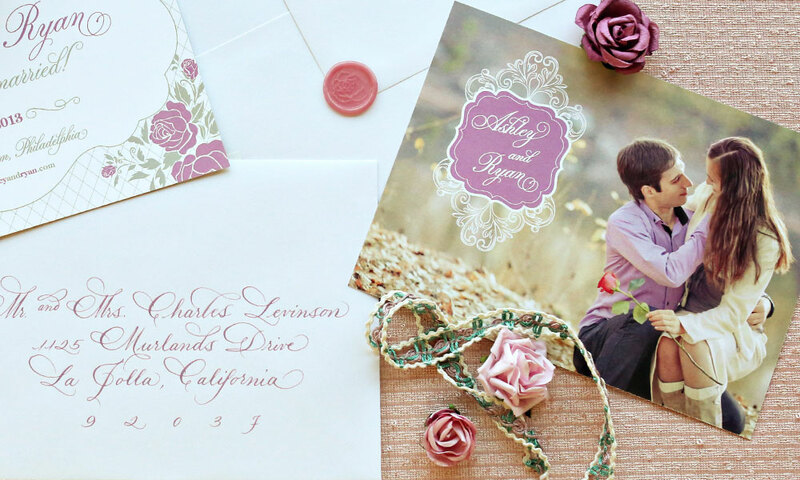 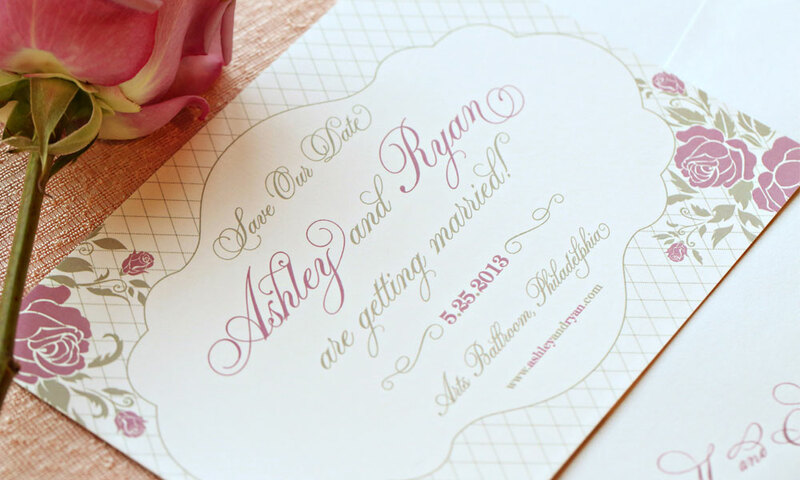 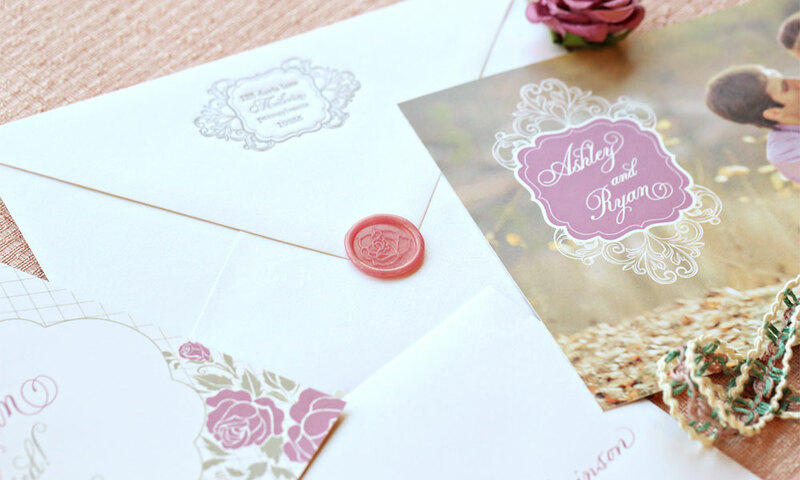 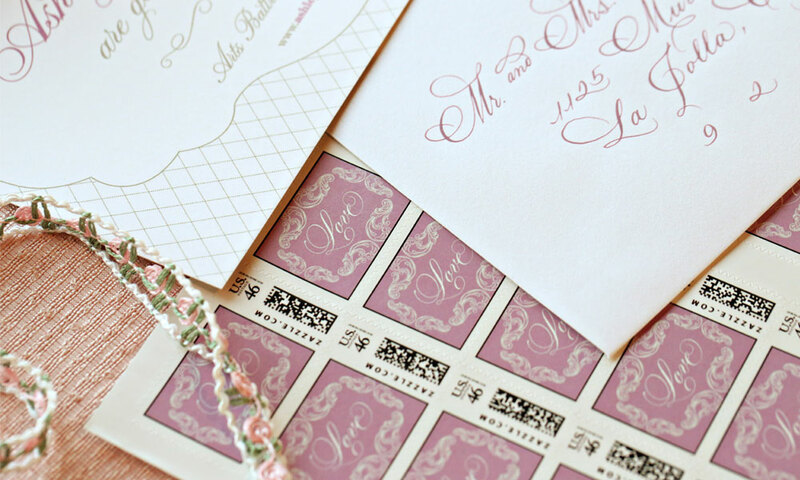 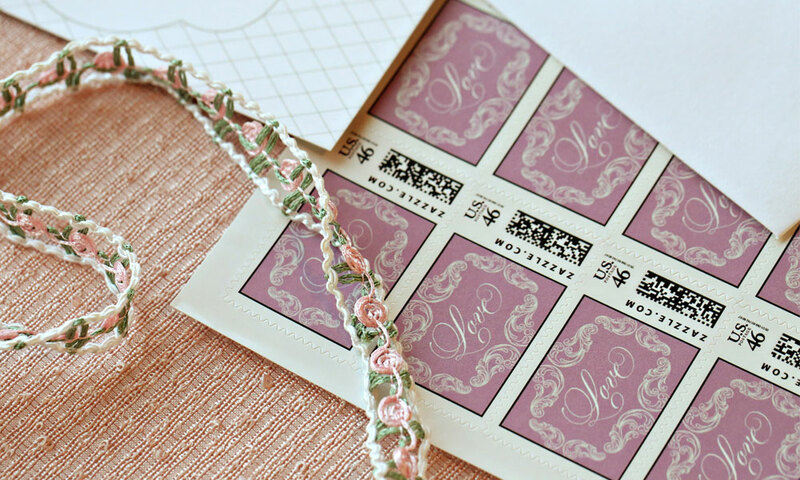 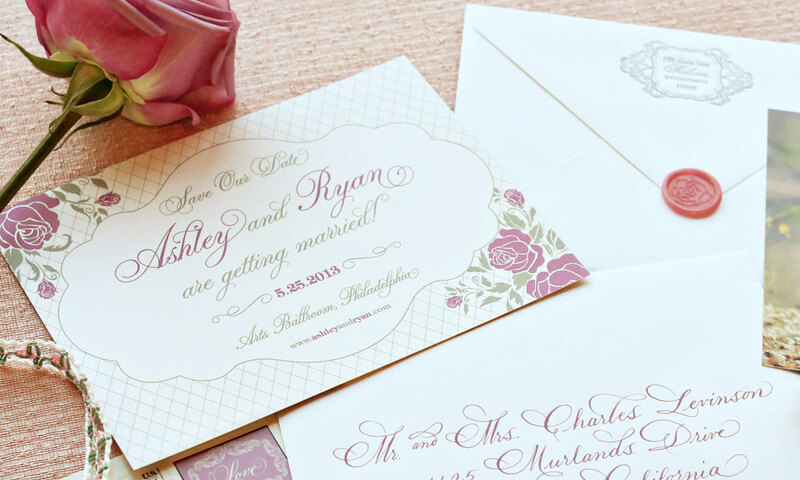 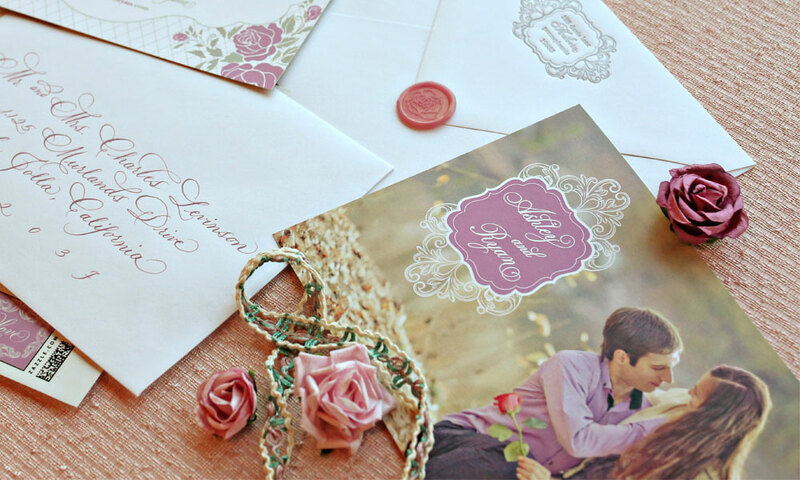 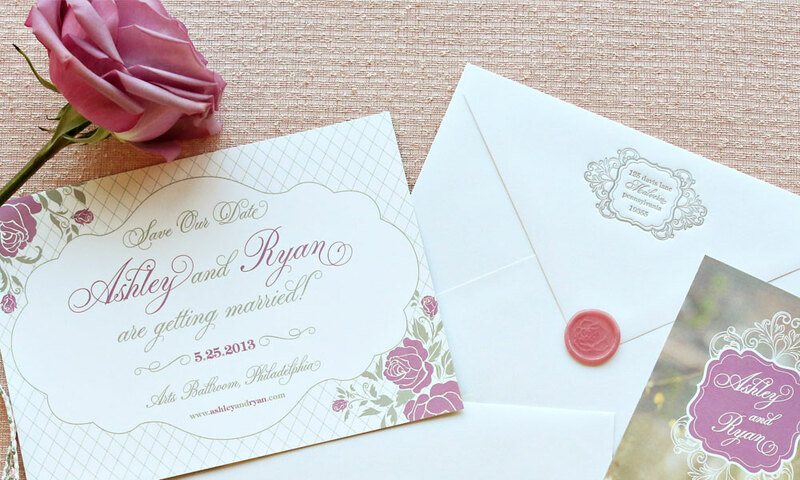 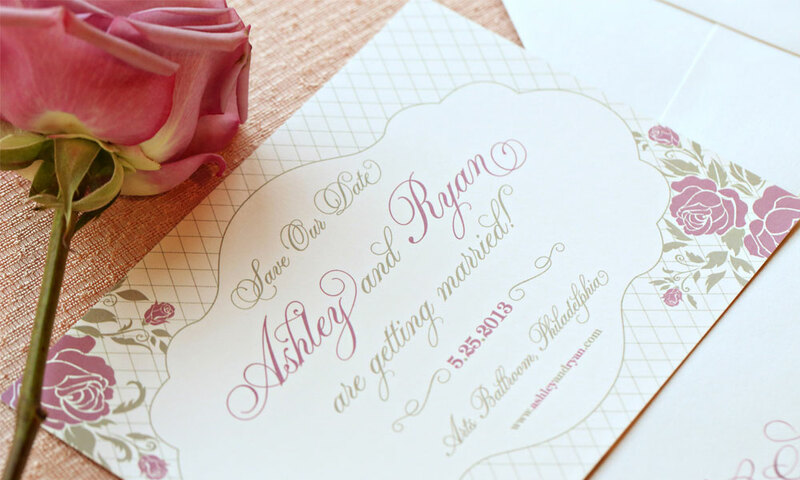 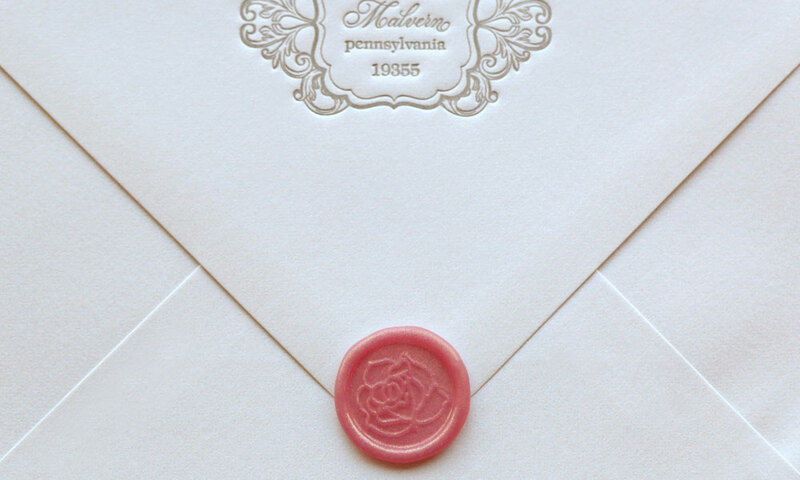 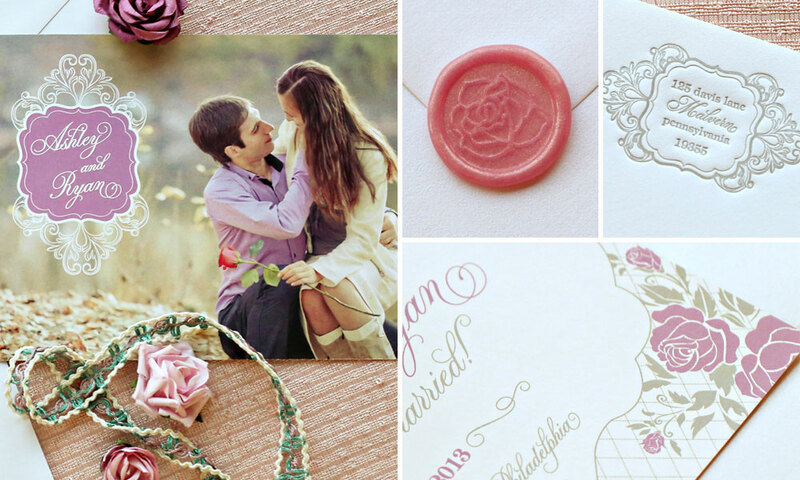 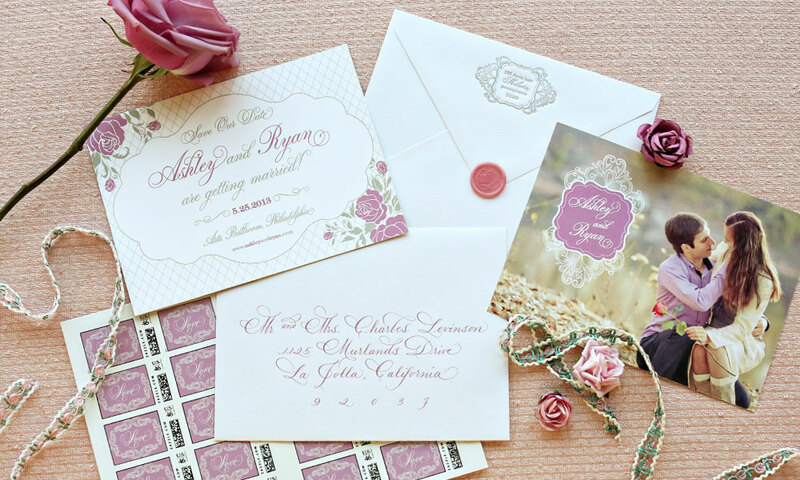 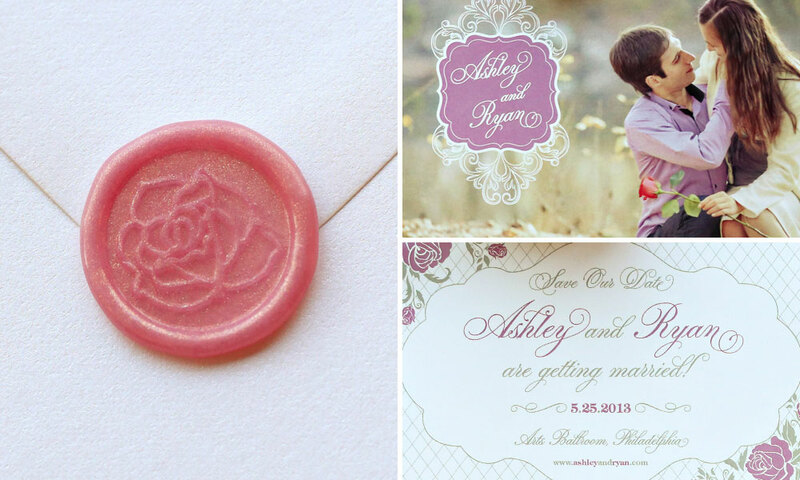 The save the date’s soft palette complement the letterpress return address, shimmery, metallic white envelope, custom love stamp, custom rose wax seal and feminine, pink, handwritten calligraphy.